High tides associated with a full moon are well-known features of the Easter period and they are also well-known for putting people in danger and submerging their vehicles. 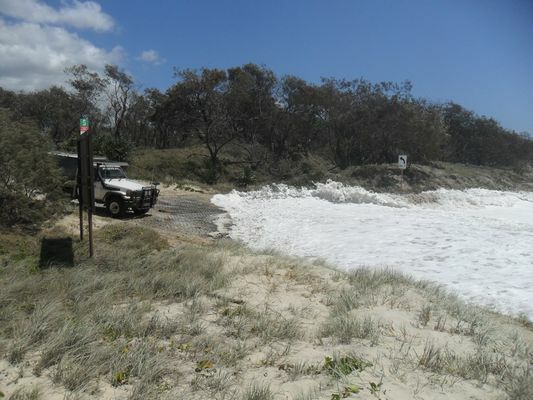 Queensland Parks and Wildlife Service (QPWS) Senior Ranger Colin Lawton said very high tides were forecast for Good Friday (19 April) and right across the Easter break. “The best way to enjoy the Easter break in the Great Sandy National Park is to keep your family and vehicle out of harm’s way,” Mr Lawton said. “On Good Friday two very high tides are expected at 7:45am and 8:15pm for Teewah Beach and Rainbow Beach. “People planning to access the beach in the morning to set up camp are likely to find the beach impassable until at least two hours after the high tide. “I recommend people plan their trip accordingly and restrict their driving to two hours either side of the low tide. “For a few days around Easter, it is likely the beach will be totally impassable for at least two hours either side of the high tide. 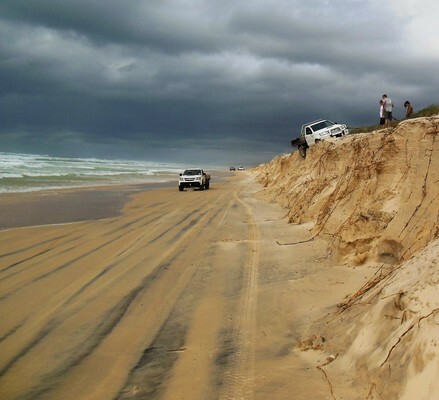 “Easter high tides will also cause difficult beach driving conditions along sections of the Great Sandy National Park, including beaches at Cooloola and K’gari (Fraser Island). “And due to recent beach erosion, Mudlo Rocks at the Rainbow Beach entrance is currently impassable at all times, and is likely to remain impassable over Easter. Mr Lawton said motorists were not permitted to drive on the fore dunes just above the high-tide mark. “Driving on dunes causes serious damage to vegetation and can harm nesting wildlife such as turtles and shorebirds and destroy their nests,” he said. 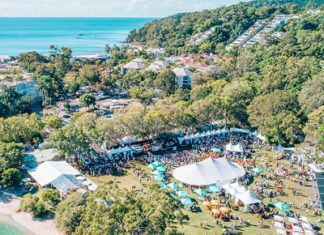 “Park rangers and police will be patrolling Teewah and Rainbow Beach. A person was recently fined $500 and ordered to pay $250 in court costs for driving a vehicle onto the dunes. Previous articleSee DAYLIGHT SAVING at Noosa Arts Theatre… on us!